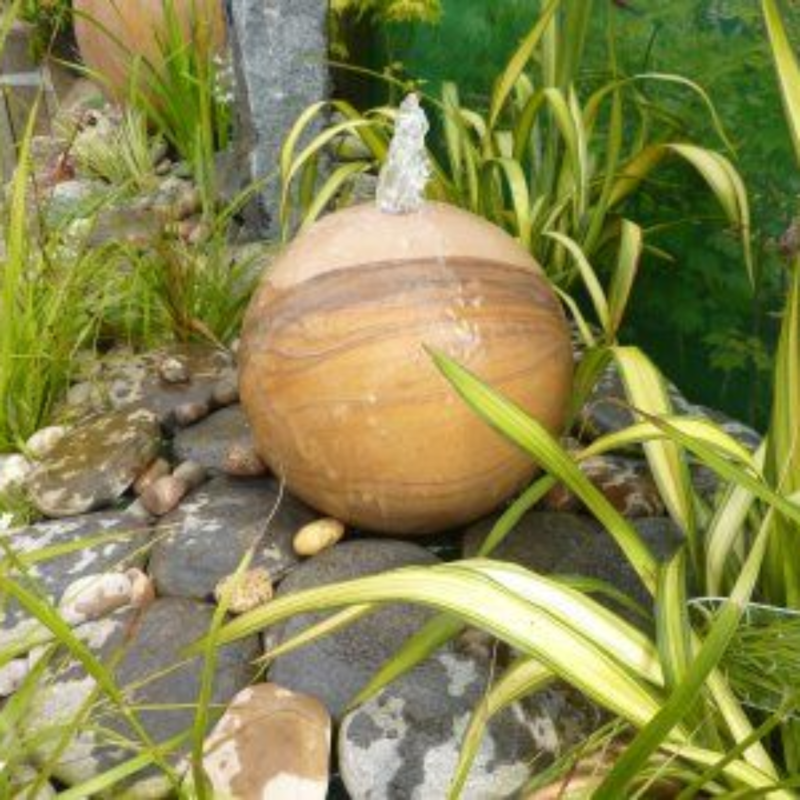 Unique Rainbow Sandstone Sphere Water Feature of 300 mm (12 inches) diameter. Colour, light, movement and sound are all notable aspects of this individual self-contained feature that will introduce so much interest to your garden or patio area. Different colours merge into each other while water gently flows over the smooth surface creating a delicate lustre. Lights will enhance this streaming water, allowing the feature to be enjoyed into the evening. Hand finished by gifted artisans, enabling quick installation that will be enjoyed by all. 300mm Sphere Water Feature. Water slowly and calmly bubbles from top and clings to the surface as it gently flows over the surface and re-circulates. We have a selection of lighting. It is possible to combine up to 3 spheres on a reservoir.